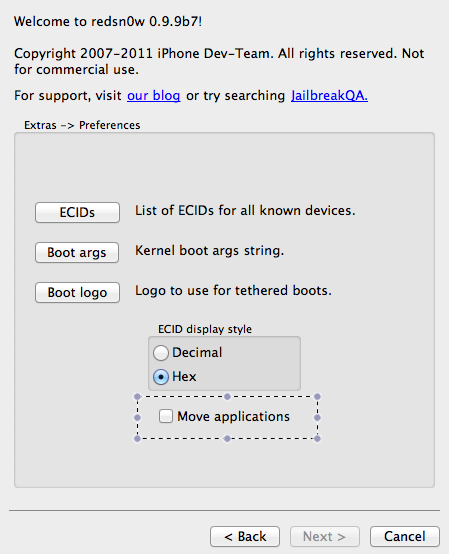 MuscleNerd and iPhone Dev-team released Redsn0w 0.9.9b7 specially to improve the time of jailbreak process. Redsn0w 0.9.9 b7 reduces the time to actually perform the jailbreak from 210 seconds to 80 seconds (decreased by 60%). Redsn0w 0.9.9b7 still tethered jailbreak for iOS 5. After some feedback on reddit, we’ve decided to make the initial jailbreak as quick as possible by no longer “stashing” the applications by default during the redsn0w run. 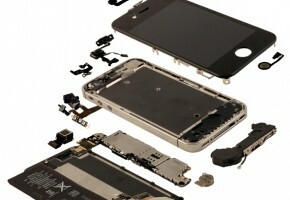 This reduces the time to actually perform the jailbreak from 210 seconds to 80 seconds (60 percent!). However, you make up for much of that the first time you launch Cydia, which will then want to stash the applications. You can choose whether you want redsn0w or Cydia to stash in the Preferences pane. Thanks Dev-team for your continues improvement. But we do need iOS 5 untethered jailbreak.